How did you become a member of Silvio Danailov’s ticket? It is very simple. Three months ago I was invited by Silvio Danailov to join his ticket. So, after reading the program and seeing who the other candidates on his ticket are, it took me less than 24 hours to give him a positive answer. What did you like in the ticket? The people as well as the plans. Everyone knows Silvio Danailov’s contribution to chess for many years, and I am sure he will be an excellent successor to Boris Kutin as ECU President. Tomasz and Ion, our candidates for Deputy President and Vice President respectively, are also very well experienced people with high chess, business and organizational abilities. And Sava, who is going to be the Chief Arbiter of the coming Olympiad, is our ultimate candidate for General Secretary of the ECU! All of us represent very active federations with a long chess tradition that have been organizing for so many years many important tournaments such as Olympiads, World Championships and European Championships. And what about you? What is your contribution to the ticket? Look, I have been involved in international chess life for almost 40 years! As early as 1976 I was Deputy Chairman of the Organizing Committee of the Haifa Chess Olympiad, which was the first Olympiad to use a computer and to be run according to the Swiss System. Nine times – more than anyone else in the world – I was a member of the Olympiad Pairings Committee, and since 1994 the Chess Olympiads were run according to the Burstein System which I developed. Fifteen years ago I was a member of FIDE Central Committee and since 2004 I have been the Delegate of Israel to FIDE and ECU. First of all, I am an economist and accountant by profession, being, among other posts, the Finance Director of the Faculty of Medicine at the Tel Aviv University. Secondly, I was involved in the Israeli political life for 12 years and held public positions such as Chairman of the Hod Hasharon (my hometown) Worker Council, CEO of Shinui (the Liberal Party of Israel) and Deputy Mayor of Hod Hasharon in charge of finance. Thirdly, I am a publisher of textbooks and the Business Development Director of Bookware Ltd. – the company which has developed the first Hebrew electronic book. So, I am sure I am capable of being the ECU Treasurer in particular and Board Member in general. By the way, do you also play chess? Of course. I like to play and may say that I am quite successful as an amateur player. In simultaneous exhibitions held in Jerusalem I drew against World Champion Garry Kasparov (in 1996) and won against the world’s best woman player, Judit Polgar (in 2005). In 2007 I won the title of Deputy World Amateur Champion and got a FIDE rating of 2100! Will your team win the elections? I sincerely think so. With all due respect to the other teams, I think ours is the best and the most qualified to lead European chess for the next four years. Mr. Almog Burstein, born in 1950, an economist and accountant, was involved in all kinds of chess activity for almost 40 years. In 1972-1976 he was the Secretary of the Israel Chess Federation, and in 1976 – Deputy Chairman of the Organizing Committee of the Haifa Chess Olympiad, which was the first Olympiad to use a computer and to be run according to the Swiss System. Nine times (more than anyone else in the world) he was a member of the Olympiad Pairings Committee (now within the Technical Administration Panel), and since 1994 the Chess Olympiads were run according to the Burstein System. 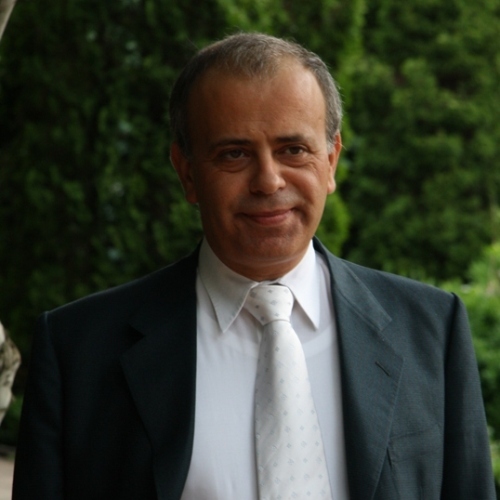 In 1995 – 1998 he was a member of FIDE Central Committee and since 2004 he is the Delegate of ICF to FIDE and ECU. As an International Chess Arbiter (since 1977) he has been the organizer and/or arbiter of many local, national and international tournaments (including Deputy Chief Arbiter of the World Team (2005) and World Blitz (2006) Championships). Almog Burstein was also quite successful as an amateur player. In simultaneous exhibitions held in Jerusalem he drew against World Champion Garry Kasparov (in 1996) and won against the world’s best woman player, Judit Polgar (in 2005). In 2007 he won the title of Deputy World Amateur Champion (and got a FIDE rating of 2100). 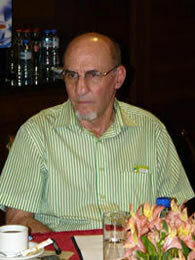 In 1994 – 2006 Burstein was involved in the Israeli political life, holding public positions such as Chairman of the Hod Hasharon (his hometown) Worker Council, CEO of Shinui (the Liberal Party of Israel) and Deputy Mayor of Hod Hasharon (including Chairman of the Municipal Committee of Finance). Since 2006 Burstein is a publisher of textbooks and the Business Development Director of Bookware Ltd. – a company which has developed the first Hebrew electronic book. The peaceful garden of the Coandi Hotel was the favourite evening destination for the participants of the 2010 Arad Open. Accompanied by Alin Campeanu, the restless organizer who prepared the event for 200 people all by himself, the players could relax in a quiet atmosphere after tough battles over the chess board. On one of such occasions, I met Krikor Sevag Mekhitarian from Brazil, for whom Arad Open was the first event with GM tag next to his name. Only few days earlier Mekhitarian was awarded Grandmaster title at the FIDE Presidential Board in Tromso. A very friendly person, with contagious passion for chess and related stories, Mekhitarian kindly agreed to answer a couple of questions in the interview. Chessdom: Hello Krikor, thank you for accepting the interview. First of all, congratulations on promotion to Grandmaster rank. How did you achieve this feat? Krikor Sevag Mekhitarian: Hello, thank you. 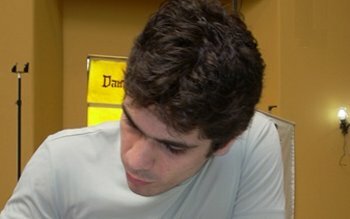 Well, I became International Master in 2005, and since then I’ve been trying hard, failing, and trying, and learning (chuckles), and then in 2009 I got my first GM norm in the Brazilian Chess Championship. Actually, I graduated from the University in the same period. For a couple of days, my routine was passing exams in the morning, then traveling to Americana to play in the Championship. In the end, it was a double celebration. Then I earned the second GM norm in April this year at Open La Laguna, in Spain. The final third came here in Romania, at Eforie Nord Open. Since 2008 I already had 2500 elo, so this wasn’t a problem at all. Chessdom: You earned the final norm in Eforie, Romania. Is that the reason why you came back to Romania and now playing in Arad Open? Krikor Sevag Mekhitarian: Of course, it was a good tournament for me, the atmosphere was great, and I will always remember the place where I got the title. I think that after the first norm, the others came, I won’t say it’s easy, but it was natural, as it’s always the hardest part to get the first one, because it breaks that psychological barrier. Now I am happy to be in Romania again. Chessdom: This year you are on a long tour around Europe. Krikor Sevag Mekhitarian: Actually, I played in Spain and France on April, for about month and a half, then I went back to Brazil for about three weeks and came back to play in Spain, Netherlands and Romania. Chessdom: How many tournaments in total? Are you tired? Krikor Sevag Mekhitarian: Four, then two, now three more. I am not really tired, because we don’t get such strong tournaments in Brazil, and for me it’s always enjoyable to play. Even some tournaments, that by European standards are not very appealing to players, are very good for us. Sometimes I get a bit tired, but the excitement is high because I live quite far from here and then I simply enjoy. Chessdom: What are your plans for the future, where will you play next? Krikor Sevag Mekhitarian: I will play another tournament in Armenia, then I go back to Brazil, but already in September I will play the University World Championship in Switzerland. Then I hope to relax a bit and slowly prepare for the Brazil Championship, which is normally in December. I also have plans for Europe in January, February, I think I will play the Aeroflot Open, but still nothing clear yet. 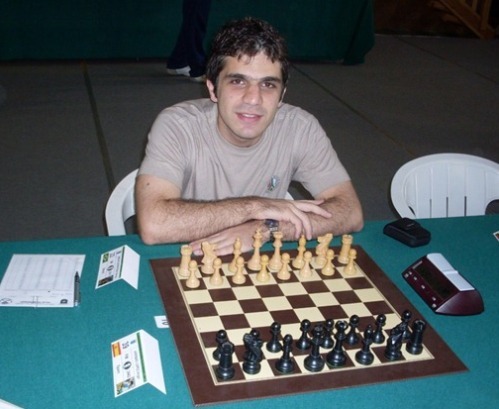 Chessdom: Now that you became Grandmaster, the count of highest title holders in Brazil rose to 10. How is chess progressing in your country? Krikor Sevag Mekhitarian: The initiative of some players to compete outside helps them a lot on their personal level and it motivates other people, the young and upcoming players, to do the same or fight harder to earn the norms and titles. But in general, the movement in Brazil is sort of the same as in recent years, no big changes in the tournaments, actually the same as for whole South America. Chessdom: And in terms of number of players? Krikor Sevag Mekhitarian: Maybe improving thanks to programs for chess in schools, I’d say the numbers are slowly growing, but the initiatives are still not strong as here in Europe. Mostly the players improve their level and progress on their own merits. Chessdom: Vassily Ivanchuk, one of the world’s top and most favoured players, recently played in Brazil. How important was his visit for your chess community? Krikor Sevag Mekhitarian: Something like that doesn’t happen very often, and it was very good because many people wanted to see the elite player. It was wonderful for the atmosphere, to see him playing there, and maybe that will motivate other organizers to try and make something similar. Of course we know it’s not easy to bring someone of Ivanchuk’s caliber to a different continent, but if we have another visit of a top player this year, next year, maybe the sponsors could open their eyes. Chessdom: It was during this tournament that I discovered that you’re actually running a blog. If I remember well, I’ve read on your blog that after each game Ivanchuk took a walk to the forest, in isolation. Is that correct? Krikor Sevag Mekhitarian: Yeah, I think I wrote something like that, but there was also another blog that covered the tournament, so maybe you’ve seen it there. It was a two-day rapid tournament and the time control was changing, from 15 minutes in the first round to 60 minutes for the last game, because the opposition was becoming stronger in the later stages – it is a very interesting concept. In the first day, Ivanchuk was quite serious, ok I mean, before the tournament he was very polite with everyone, posing for photos and giving autographs. But during the play, on the first day we had five round, he was very very serious, after each game he wanted to be alone, no matter what. On the last round of the first day he lost to GM Gilberto Milos, which was a huge disaster for him, of course he can lose to Milos, he had black pieces, but he appeared to be a little upset. Clearly the tension is very high during the games and he shows that he is very professional, he didn’t want to interact much while concentrating on play. Chessdom: You’re updating the blog every day? Krikor Sevag Mekhitarian: Most likely when I am in tournament yes. After each round I try to write something, with some short analysis of the game. Chessdom: Do you receive feedback from the readers? Chessdom: How many visitors, in average? Krikor Sevag Mekhitarian: During tournaments, around 800, maybe 1000. Krikor Sevag Mekhitarian: Yeah, that’s quite a lot for a blog, I think, specially in Brazil. Krikor Sevag is also maintaining a blog called Friday Live Ratings Brazil (for 2350+), similar to Hans Arild’s World 2700′s. When I was elected as a President of the Polish Chess Federation a year ago, I started my visits. I got to know Boris Kutin, Horst Metzing, Ali Nihat Yazici, Silvio, but also Kirsan, Macro, and other top FIDE and ECU executives. I think they liked what I have done in Poland, and I received several proposals to join the chess management. By the advice of Boris Kutin, I have chosen joining Silvio’s ticket as I believe it can make a difference. Boris is right, it is unique that all ticket members have a proven track record of outstanding achievements in life, yet their experience is complementary. Why a successful businessman got interested in chess? After 25 years in business and 15 years of being a President and CEO of large publicly listed company, I decided it is time to enjoy life. And I have always liked playing chess. I am a complete amateur, ELO 2000, but still like it. During the last 3 years, I have also created one of the largest in Poland collections of chess books and chess stamps. But I also have not completely quit business, I am still sitting on the Supervisory Boards of stock exchange listed companies: largest polish publishing house, largest polish construction company, and top IT company. I am also an investor in several industries from tourism to biotechnology. I am also a member of Pro Publico Bono boards, like Stock Exchange Arbitration Court, United Way, Information Society Development Foundation (supported by Gates Foundation), Institute of Public Affairs, and some others. True. Still, I was always sad that the King’s Game is not lucky in the recent years. Chess was not “spoilt” by corporate sponsorship, media attention, and prestigious venues. And it deserves all that! So when I was asked by some chess activists in Poland to help Polish Chess Federation struggling with bad image, internal fights, and lack of money, I could not refuse. Could you tell us more about your first year in the chess management in Poland? Very simple moves: we have built a small professional office of salaried employees (5 persons), almost all information became public and transparent, we created infrastructure to be able to sell and invoice (proper registration with VAT, sales rep, etc. ), then we’ve built products for sale, for which we obtained media patronage, and hence are selling it to companies and/or energetic municipalities. Did that bring success in such a short time? Chess management is like any other business: you have to sell your products and make sure that costs are covered. My business experience is essential. Even on this minuscule scale, in Poland, during the mere several months, we were able to sell local polish chess events for over €100,000. We’ve attracted the largest polish construction company to sponsor Polish Woman Championship, one of the largest energy company sponsors Polish Open Championship, while Junior Championship is sponsored by Citibank, and the youngest polish GM (16 years old) is supported by Microsoft. However, there is still a lot to be done. Can those achievements be repeated on much larger scale in Europe, in ECU? Of course. There are much better products for sale! ECU “owns” great events and new products can be developed, just look at volleyball or handball. Their financing and prestige has more than doubled in the last years. Also our products can be properly packaged and sold. Chess alumni are everywhere: in media, in business, in politics. This network is garden of “low hanging fruits” which can start the change in Europe, while getting the general public and big corporations. Those high positioned chess alumni must be sure that they will not lose by their involvement. Hence, ECU has to be efficient, transparent, professional and predictable. This will obviously benefit all chess stakeholders. The alternative is not attractive: ruthless fight for ever smaller piece of cake. It’s time to change that. Sure. We don’t have the “iron curtain” to help us, but with good events we can create stars and attract stars. Chess is for smart people, and being smart is becoming fashionable. We are already there. Chess can be cool! Mr. Tomasz Sielicki is 50 years old. He is graduate of the Technical University in Warsaw. First employee, shareholder, President 1992-2005, and driving force behind the market successes of ComputerLand (now Sygnity), Warsaw Stock Exchange listed company with 2,000 employees and €200m in sales. Mr. Sielicki is a member of multiple boards, including: several listed companies, Polish Private Employees Confederation, Trilateral Commission and some others. Mr. Tomasz Sielicki is recognised by Time Magazine, BusinessWeek (Stars of Europe 2005), Davos World Economic Forum (Global Leader of Tomorrow), Wall Street Journal (Central Europe’s Top 10 Executives), as well as by Warsaw Stock Exchange (Best Public Company), Polish Business Centre Club (Leader of Business), Polish IT Chamber (Info-Star). Since July 2009, Mr. Sielicki is President of the Polish Chess Federation, delegate to FIDE and ECU, amateur chess player. More about Silvio Danailov’s team at his official website. Chessdom: Mr.Yazici, thank you for accepting the interview. Last year in Novi Sad, you were the first to announce candidacy for the post of ECU President. Why did you take up this challenge? Ali Nihat Yazici: Mr.Urosevic, Thank you for giving me the opportunity to explain my opinions about the forthcoming European elections. I have been President of the Turkish Chess Federation for the last ten years. We have worked hard and achieved a lot. From almost zero, we have built up a federation which is very strong now. I want to bring my experience to bear on the whole of Europe. The TCF today has more than 180,000 members, 30 full time professional staff, 47,000 trainers, over two million children in our Chess in School programme, excellent media and web site coverage and a 2009 operating budget of around €6.5 million. Now that the TCF is running smoothly, almost mechanically one can say, my team and I want a new challenge, we want the adrenaline rush from solving the problems we face, in making the ECU a very strong, stand-alone chess organization. Chessdom: Can you introduce the team of We R Europe? Ali Nihat Yazici: You know me, and anyway it is not nice in my culture to advertise oneself, so I will move straight on to the other team members. 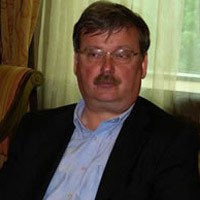 The Deputy President will be Peter Rajcsanyi from Hungary. Peter’s past career in Government, banking and the foreign service gives him an experience and tact second to none, and he will not only provide a solid sounding board for advice and direction, especially on legal issues, but also deputize brilliantly for me in events I am unable to attend. GM Evgeny Bareev from Russia does not really need an introduction; he is a big star and very modest but with great ideas for change and improvement. We are very proud to have him with us, a fantastic personality. He will be the new Vice President and responsible for European Chess Academies, youth development and liaison with professional players. Last but not least, Joan Antoni from Andorra. Joan is another very experienced professional manager. He will be Treasurer. We want to use the tax advantages of Andorra. We are not so rich as to afford to pay out high taxes in Germany. We are a European organization that may move to any place in Europe which gives us good conditions. The Prime Minister of Andorra has already given us the green light for this move. So, those are the people on my ticket. There are many people working behind the scenes. Some of them are very well known, like Kevin O’Connell from Ireland, now living in France. He is the chief editor of our website. I want to thank him for his excellent job. But there are many more in the background, you cannot imagine how many e-mails we are getting per day. The desire to work for change and improve things is immense and we have welcomed everybody into the family. And there are others, but it would not be fair to expose them to attack from the opposition. We will thank them openly as soon as the election is over. Chessdom: What are the main points of your programme? Ali Nihat Yazici: The main concept is to make the European Chess Union a very, very strong institution, without any dependence on FIDE or any single federation. There are many other issues, but for those I suggest that you visit our website. That way you won’t miss new additions to our programme and I won’t run the risk of distracting you now from our principal objective. Chessdom: You have introduced an idea of “All Flags Raised in Championships”. Can you explain to me what that means? Ali Nihat Yazici: The European Individual Championships (both women and open categories) have been organized for a decade now, but only 35-40 federations take part. We want to change the system, so that all federations will have a minimum of one free place. Step by step, we will then move to a system of additional free places that is correlated with success. It will certainly not lose its spirit of a strong open event; anyone who wants to participate will be welcome. However, we do not want the national champions of any member Federation desperately hunting for a grant or subsidy, in order to be able to play in this event. We want to support all national champions and their federations on this, so to begin with, each federation will have a free place if they organize a national championship. Subsequently, we will increase the number of free places; rather like UEFA’s football competitions, more success will bring more free places. To do this we need money. The Individual Championships cost the organisers money and ECU has always been hard pressed to find organizers due to the high cost of these events. The solution is that we bring to the table substantial sponsorship. No, we do not mean money from the pockets of Kirsan, Karpov, or the Turkish Chess Federation. We should not depend on any individual or any institution, for sound economic reasons as well as for political reasons. We will introduce sponsorship on the continental level. We already have a guarantee for €300,000 annually, but this is just for starters, and it is peanuts if you consider our four-year plan. I do not want any organization of which I am the leader, to have an annual budget of less than €2-3 million. This will allow the ECU to fulfil its development objectives across all 54 members. Chessdom: The team of We R Europe has visited almost all European federations. What is the feedback you have received, the main needs of national federations? Ali Nihat Yazici: Feedback? Incredible… Amazing.. we will win this election by a very big margin in the first ballot. We do not underestimate our opponents, both have good teams of nice people, yet it seems that they are starting to attack me personally, lowering the tone of the campaign. Nevertheless, we continue to respect them. The second part of the question: Ok, Europe is very strong in chess, and I would be proud to be the new President of this continent. There are many very hard-working and efficient people in the federations’ management. They fall in love with chess. They are eager to succeed. They want to do something. But they need assistance. For some it is funding, in other places it is management consultancy, in many places it is a Chess in Schools programme and almost all want help to build up and develop the popularity of our sport. In some countries, for example Serbia, chess is very well respected and the federation is an associate member of their National Olympic Committee, but there are a dozen, almost all in Northern and Western Europe, where chess is not even recognized as a sport. We will resolve those problems tactfully together with the Federations. We want to start a revolution and introduce customised services. We will be the tailor, and for each federation we will cut and sew the finest hand-made suit! The new management of the Russian Chess Federation is eager for this – do not be surprised if, within four years, the RCF’s budget will be around €10-15 million. Sure, there are some sleepy federations, but we will pinch them gently and wake them up. We must not allow them to remain asleep, not if we are going to realize our common dreams in Europe. Chessdom: If you win the support of the ECU delegates, what will be your first moves after the election? Ali Nihat Yazici: We will call an Extraordinary General Assembly in Istanbul early next year. We will cover all expenses for the delegates, and there, we will commence our revolution in budget, structure and procedures. There, we will also formally sign the first €300,000 sponsorship agreement. Russia does not have many cities that can boast their “Olympic” status. 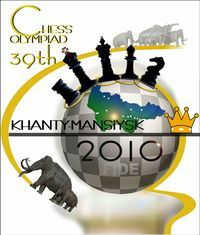 Very soon their number will be added up with Khanty-Mansiysk that will host the World Chess Olympics from September 19 through October 4, 2010. The “RusBusinessNews” reporter met with Alexander Gerber, Director of the Center of Assistance to the World Chess Olympics, who welcomed us to the halls that one month later will witness Bird’s Opening, the Sicilian Defense and Queen’s Gambit. RusBusinessNews – Alexander Ernstovich, the first question that opens now all the talks about the Chess Olympiad: Will Khanty-Mansiysk be able to accommodate with comfort more than three thousand chess-players, judges, coaches, and reporters? Can you off hand dot all the if’s and say “yes” or “no”? Alexander Gerber – In pre-Olympic Khanty-Mansiysk everything is changing for the better with every passing day. For example, yesterday the operating team of the Olympyiskaya Hotel, which will receive about 1,400 chess-players, started commissioning of the rooms. The catering for chess-players has been arranged. At the moment, we are signing contracts for purchasing and delivery of food products. In the middle of the next week, the final meeting chaired by Yugra Governor Natalia Komarova will take place; the agenda includes the report about the readiness condition of Olympyiskaya. We are planning to sign the Commissioning Act of the hotel serviceability on August 25. RusBusinessNews – What does the hotel look like? Alexander Gerber – The Olympyiskaya Hotel is a 13-storey building for 846 rooms. The first and the second levels accommodate a restaurant, fitness-club, service and office facilities. Olympyiskaya offers both single suites and standard rooms for 2-3 people. RusBusinessNews – Does it mean that chess celebrities like Veselin Topalov, Magnus Carlsen and Vladimir Kramnik will be able to stay there with comfort? Alexander Gerber – We have not received any enquiries from their representatives concerning the quality of the required hotel rooms. However, we are ready to offer them comfortable accommodations that fit their stellar status. RusBusinessNews – Where are chess-players going to stay, if they fail to book a room in the Olympyiskaya Hotel? Alexander Gerber – 10 more city hotels are ready to accommodate participants of the Olympiad. On August 10, I had a meeting with their representatives. All the hotels are ready to offer their services to chess-players anytime. RusBusinessNews – What are the catering arrangements for chess-players who will come from different parts of the world? Alexander Gerber – The World Chess Federation (FIDE) did not make any requests. However, we, offering hospitality, require that the hotels should offer the cuisine traditional for those countries that are represented by chess-players – the future guests of these hotels. The hotel menu has been scheduled in every detail. The catering will be provided as buffet service. RusBusinessNews – Has the transportation schedule been prepared? Alexander Gerber – Certainly. Chess-players will use charter flights to come to Khanty-Mansiysk from Milan, Prague, Moscow and Dubai. The main airport of Yugra is completely prepared to receive airplanes. In Khanty-Mansiysk, chess-players will be offered comfortable shuttle-buses. The trip between any hotel and the Center of Tennis Sport Development where the Olympiad will be held will take 10-15 minutes. RusBusinessNews – By the way, why was the Center of Tennis Sport Development selected for the Olympics, but not the Yugra-Classic Concert and Theater Center that already hosted World Chess Cup championships? Alexander Gerber – The main problem is that Yugra-Classic lacks the required space. Only 200-250 chess-players took part in the World Cup, whereas the Olympics will attract ten times as many. The Center of Tennis Sport Development has enough space to accommodate them. All the chess-players will be able to start the game concurrently. By the way, at the previous Olympics in Dresden, the game hall was smaller, but it still was enough to accommodate everybody. RusBusinessNews – Will it be possible for the audience and reporters to watch the tournaments? 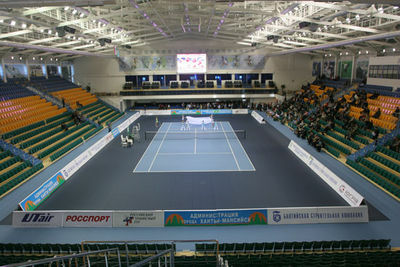 Alexander Gerber – The hall stands have 3,500 seats. The second level of the building is equipped with screens for broadcasting the most interesting tournament games. There are also well-equipped rooms for sportscasters. As for reporters, about 30 journalists have been accredited to the Olympics so far. They will have their own office. We do not expect that many mass media representatives will come to Khanty-Mansiysk. Chess is the game that can easily be analyzed via the Internet. RusBusinessNews – Chess enthusiasts will equally be interested in the FIDE Congress that will also take place during the Olympic days. What can chess org-people expect in terms of work conditions? Alexander Gerber – The Congress will be held in the Chess Academy. This complex has no rivals in Russia. The total floor space of the Academy is 2,845 square meters. Its opening is scheduled for August 25, and at the end of September, there will be a grand ceremony, at which the new FIDE president will be elected and the capital of the Chess Olympics – 2014 will be named. Chessdom: Hello Ivan, thank you for accepting the interview (performed via email, ed.note). Few month ago you have organized the big Bosna Open, when you also introduced many innovations. What are the impressions from this event? What are you planning for next year? Ivan Sokolov: Bosna Open was definitely clear success. We had a strong field of players and participants from more than 30 countries (from Mexico to China), so the tournament was a great mix between a strong chess event and a cultural happening. We are thankful to institutions and sponsors that have made this possible, general feedback is positive and there is a reason for optimism for Bosna 2011. We also had 3-1-0 scoring system which is still new in the chess world and reasons behind this idea I have explained in an interview given to you before this event. The goal was achieved – all the games were played, no quick draws, tournament was dynamic and attractive. One win, at least in most of the tournaments, should be definitely worth more than two draws. The only question is proportion and it could well be that 2,5-1-0 is a better solution. Chessdom: Currently you are in campaign for the ECU elections, as Vice-President candidate on the ticket of Professor von Weizsäcker. How did you become involved in, so to say, “chess politics”? Ivan Sokolov: I was asked sometime end April or beginning May to become a part of the “ticket”, and have decided to join, judging that we will win, we would make the difference for the better, and that I can play an important role there having seen chess from the both sides (top players and organizers standpoints). Chessdom: For many years you are one of the world’s top Grandmasters, and recently you have proven that you are also skillful organizer. What can we expect from you and your team if you become elected to the governing body? Ivan Sokolov: As probably most of the readers know we are campaigning hand in hand with Karpov ticket and share the same vision. Karpov’s announcement of 1,2 million USD for Europe (during the first office term) is not a marketing trick – this is a real promise, backed by letters of intentions – actually the amount would most likely be (considerably) higher. We would independently do our marketing push trying to find sustainable commercial sponsorship on a European level. ECU with its members is an excellent marketing ground for any large multinational company and there is a plenty of room for action there. Current ECU “income” is 90-95% derived from different kind of fees that chess federations, clubs or individuals are forced to pay in order to participate in ECU events, which makes the current ECU nothing better than a tax office! The current ECU “business model” has been designed to generate enough “income” to keep the current administration happy, while putting the minimal amount of work. In my mind, the income derived from fees levied on chess federations, clubs or individuals should never exceed 25-30% of the ECU budget and the rest must come from an external sponsorship. Needles to say, current fees, probably because they represent the only ECU income, are rather high and participating in ECU events(along with all other fees) should become cheaper. Chessdom: The campaign for the ECU elections runs very quiet, at least compared to the FIDE elections, and it is notable that the Federations are not expressing public support for the tickets. Why is that so? Ivan Sokolov: There is indeed a reasonable number of chess federations that are postponing any clear support announcement. For some of them this is a principal decision, some of them want to see the developments and than vote for the “winner”. On the other hand we did receive a large number of letters of support, which we would publish soon, and are rather convinced that we will have more votes than our two rivals, very likely winning straight in the first round. Chessdom: Chess world was recently rocked with Arkadij Naidistch’s open letter, where he accused the German Chess Federation and its officers of incompetence. Do you have comment to this letter and do you think that this confrontation could harm your team’s efforts in the ECU campaign? 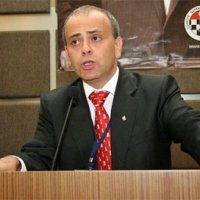 Ivan Sokolov: It is rather interesting that GM Suat Atalik, together with his wife Ekatarina, had a very recent court case against Ali Nihat Yazici and Turkish Chess Federation in which Ataliks claimed that they had a professional contract with Turkish Chess Federation, but were due to dictatorial, biased decisions of TCF president Yazici deprived from their rights and income. Ataliks won the court case. Strangely, this received no media attention and Yazici simply continues with his rhetoric. Perhaps ChessDom could ask Atalik for an interview to explain the nature of the mentioned court case. Arkadij’s letter has received a massive attention and lets be honest, it definitely does not help us. However, if I understand the matters correctly, the same players have accepted about the same conditions two years ago in Dresden Olympiad, where Germany was a host country and was logical to demand more money. Now, they are no longer happy with similar fees and want more money. It would have been fair to mention the offered fee in the open letter, because probably a considerable number of chess federations are offering less to their players, and also the language used by Arkadij is, least to say, well… not diplomatic. I find it difficult to comment on this issue. I am a player, Arkadij is a colleague, one of my aims (if elected) would be to, next to improving general chess events, general average GM life, chess in the schools,.., also to improve the conditions for the leading players. I am happy if players are making more money. On the other hand, Robert von Weizsäcker is a colleague in the team, actually our proposed President, an this is also internal matter of the German Chess Federation. In general, we know relatively little about the issue, we only have one-sided, very biased story, with insulting language, and is prudent to wait for the reaction from the German Chess Federation and than draw conclusions. Chessdom: If you are elected ECU Vice-President, do you still plan to actively participate in the tournaments, and in general how would you co-ordinate your obligations and choose priorities? Ivan Sokolov: If elected my priority nr. 1 would be to fulfill voters’ expectations and promises given in election campaign. However, I love chess, I like to play, and would still occasionally participate in the tournaments. Q: Four years ago you became FIDE Treasurer, was the work what you expected? Nigel Freeman: The time I have spent has been much more than expected, I probably have to spend about two hours of my free time most days on FIDE’s business. However, I was lucky in that my predecessor, David Jarrett, who is now FIDE’s Executive Director, left me with the accounts in good order. Q: Is there anything particular that you think you have achieved in the four years? Nigel Freeman: I believe that the main achievements are that FIDE now pays its own way and can pay the much higher budgeted amounts to Commissions, for instance, CACDEC budgeted monies are up from EUR 84,000 in 2006 to EUR 200,000 in 2010; that the debts are down with Federations now paying their arrears more speedily than before; and that we try and ensure that no one in the FIDE Commissions has to pay out of their own pockets for work done on FIDE’s behalf. Q: You are now standing for reelection on Kirsan Ilyumzhinov’s ticket, do you have any comments on the elections so far? Nigel Freeman: The Karpov team strategy has been completely negative, which I find very disappointing. I do not quite understand their strategy, which seems to have been to put everything on winning in the Russian Federation and then when that did not succeed, going to the law courts. They have come up with no concrete plans, just vague assertions, many of which are not backed up with any facts and are highly damaging to the reputation and the finances of the Organisation that they are trying to take over. They obviously do not understand FIDE and how it works and their plans for its future are in no way well thought or costed out. Particularly their plan to have FIDE’s Head Office in Moscow and open offices in Paris and the New York, the tax implications of which have obviously not been taken into account. Q: Karpov has claimed FIDE is corrupt, what do you have to say about this? 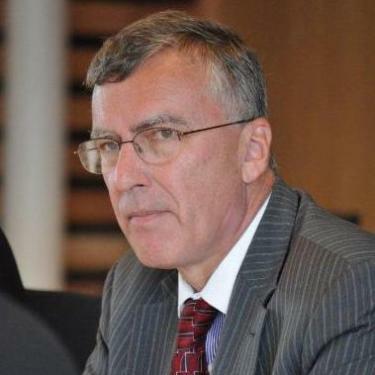 Nigel Freeman: He knows full well that this accusation is unsustainable and when questioned in Sofia (by Chessdom journalist – ed.note) was unable to answer, but in their typical mean spirited way, they have not formally withdrawn the claim. Our accounts are probably more open than any other sporting body, they are examined by our own internal Verification Commission and audited by Ernst & Young in Greece and Switzerland. Q: Karpov claims that EUR 400,000 is missing in 2008, what do you have to say about that? Nigel Freeman: Because neither he, nor his advisors, appear to understand accounts, it took me quite some time to understand what he is getting at. As it is the only figure near this is the EUR 363,000 that income is higher than expenditure, I assume that is what he is referring to. Of course the amount is not missing, it is in FIDE’s bank accounts and shows prudent management. Q: He also says that Kirsan Ilyumzhinov did not put much money into chess as he cannot find it in the accounts, do you have any comment on that? Nigel Freeman: He knows full well that most of the money went directly to the players as quite a large percentage was sent to several of his bank accounts. All FIDE would have in its accounts are the percentages paid to FIDE from various prizes. Q: Have you any comments on the fact that Karpov claims that too much money is being spent on lawyers fees? Nigel Freeman: He has quite a nerve to say this as most of these fees were spent on law cases involving his friends or himself and he now seems to be ensuring that this is the case. Until recent events, the most expensive recent case was the Touze and Belfort case. Much to the surprise of most of those attending, especially the Germans and Americans who led the complaints, Karpov stated that he was there the whole time and the organization was as good as the similar event that he attended, though how he could compare the present World Youth events to those of 1969 shows how out of touch he is. So, USCF and DSB, if you vote Karpov, you get Touze! Another example of how out of touch he is that he keeps repeating that our Athens Office is up some mountain in Greece, outside Athens. The FIDE Office is so centrally situated in Athens that it would have been in downtown Athens in Pericles’s time! Q: The New York Times quoted Kasparov as saying: “The treasurer [of FIDE] is from Bermuda — and you can tell me what normally financial consultants from Bermuda do.” Do you have any comments? Q: Do you have any final comments to make on the Elections? Nigel Freeman: Judging from the number of Federations openly supporting each candidate, it looks likely that Kirsan Iyumzhinov’s ticket will win and Karpov’s campaign does not seem to be progressing far in persuading Federations to support him. Their task was made harder by their comments that small nations should not have the same number of votes as large nations. It is like saying that because I am wealthier or bigger than you, I should have more votes in a democratic election than you. FIDE is made up of Federations, with each having one vote. They do not seem to understand FIDE, nor want to understand FIDE. Their bringing the FIDE Secretariat into matters shows that they fail to understand how FIDE works or David Jarrett. When Karpov’s candidacy was announced, I received an email from Ron Henley addressed to me hoping that the Jamaican (!) Chess Federation would support Karpov’s candidacy. Is it true that Anand received 100,000 euros for agreeing to play the match in Sofia? Yes, it’s true. Initially he wanted 300,000 more. After long negotiations he got 100,000. That money wasn’t from us, but from FIDE. We paid FIDE a very large sum from which, I assume, Anand was paid that extra fee. Normally, as you know, FIDE gets 20% of the prize fund. But from us they asked for 30, explaining that they wanted to develop “Global Chess”. In other words because they couldn’t find sponsors for the Anand-Topalov match they took 30% from us, and not 20%. And we were forced to pay. After the match Anand gave a long interview in India in which he talked about how in the match with Topalov he was helped by the three Ks: Kasparov, Carlsen [spelt with a "K" in Russian] and Kramnik. In his time, after the defeat to Kramnik in London, Kasparov told me that “almost the whole of the former USSR team” was working against him. And he added: “clearly out of particularly warm sentiments towards me…”. Do you think that the three Ks helped Anand “out of particularly warm sentiments” to you, Silvio? (Gloomily) I don’t think that the motives were personal. The help of the three Ks that Anand talked about can be explained by pure politics. They were afraid that if Topalov won the match our influence would be too great. And they did everything they could to prevent that. In general, I have to say that during the match everyone was rooting against us, except the Bulgarians. Including FIDE, which absolutely didn’t try to hide it. And Mr. Makropoulos, the match “supervisor”, conducted himself like Anand’s manager. But it seemed to me that in the episode with the Icelandic volcano, when Makropoulos used his power to give Anand an extra day for adapting after the difficult journey, he acted correctly. When eight days before the match Anand got stuck in Frankfurt I immediately told him: “Take a car and in 24 hours you’ll be in Sofia”. But they sat around for three days in the airport and only then set off on their land trip. And all because Mr. Makropoulos promised them that “there won’t be a problem”. So now we come to the main reason why I called you. How is Veselin intending to fight for the title if he “refuses to play in Kazan or in any other Russian city”, as he wrote in his open letter? You should read his letter more carefully. It doesn’t say that Topalov refuses to play in Russia. He’ll go to Khanty-Mansiysk for the Olympiad and will represent Bulgaria on board one. Topalov is refusing to play a match with a Russian player in Russia, if that match is connected to the title struggle. The chances of Topalov meeting a Russian player in Kazan aren’t high as for that they’d both need to get to the final, though it’s a possibility. And in general we were really outraged that the very proposal to switch the matches to Kazan appeared suddenly, at the last moment. FIDE kept the candidacy a secret. They’ve long known that there was a problem with Baku because of Aronian, and that it was impossible to resolve. An international federation with self respect should have opened up bidding for running the Candidates Matches in another city. Sofia, by the way, could have offered a million dollars. Where’s the problem? But, like magicians, they produced the Kazan candidacy “from up their sleeve” at the last moment and now say: this is where you’ll play. 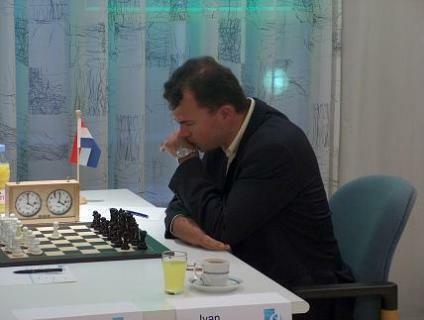 While at the same time they’re retaining the nominee from Baku – Shakhriyar Mamedyarov. It’s absurd! If the matches are run in Russia then the nominee should be from Russia. What’s Azerbaijan got to do with it? I’ll ask FIDE President Kirsan Ilyumzhinov about it when I meet him in the next few days. And what do you think of the proposal of Grandmaster Emil Sutovsky, a member of the committee for running the World Championship and Olympiad: to play the quaterfinals and the semifinals over six games instead of four. And then after almost a half-year break to have a final over eight games, and already for a different, larger amount of money. Did I understand correctly: if FIDE decide to increase the number of games, then Topalov’s prepared to play a quaterfinal, and if successful, a semifinal match in Kazan? What does it mean, “prepared, not prepared”? Those are just words. Let them show us a contract, conditions, a prize fund. When we see all of that we’ll take a decision. But if everything you mention is satisfactory to you then Topalov can travel to Kazan? Why not? We’ll study the proposed contract, and if everything suits us then Topalov, of course, will travel to Kazan. But if Kramnik gets to the final, then Topalov won’t play him in Russia. Correct? Veselin expressed it clearly in his letter. And what about what you said to me in Bilbao about how it was necessary to forget the resentment from “Elista 2006″ and turn over a new leaf? The Russian player we played a match against in 2006 in Elista doesn’t exist for us! But what if that player, who’s called Vladimir Kramnik, nevertheless, as they say, “materialises”? And you have to play him? 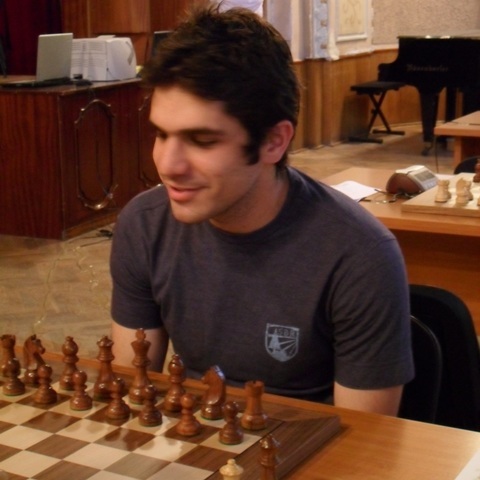 Q: Kirsan Nikolayevich, there are less than towo months to the start of the World Chess Olympiad 2010. 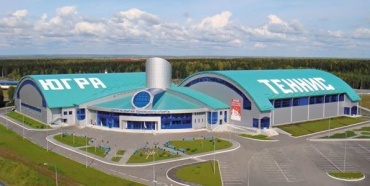 There is information that in Khanty Mansiysk there are not enough places for all guests and some teams are even declined acceptance. A coleague of yours from FIDE, during the match for the World Title in Sofia, in a conversation with me even used the word “catastrophe”. Is the situation really so serious? Q: No, such a thing I cannot imagine! Q: So what will we do? Kirsan Ilyumzhinov: I have written an official letter to the governor of Khanty Mansiysk region and to the government. This is already a political issue – the Chess Olympiad in Khanty Mansiysk should not fail! From FIDE we will send a working group to help the Organising Committe, on August 25th we will do one more inspection. I believe in the traditional Russian last minute success and I hope that the organizers will think of a way to provide accommodation for participants, arbiters, delegates, and the journalists. There is more time, after all the opening of the Olympiad is September 20th. Q: You sad that you travel a lot around the world. What are your brightest impressions from your last trips. Kirsan Ilyumzhinov: Yes, I visited more than 20 countries and at least as many I want to visit before the Olympiad. My brightest impression? I am shocked by Africa! In my next 4 years presidential cycle I have the desire to complete several revolutionary changes. The financing of three programs will be increased 10 times. First of all, this will be chess in schools. Second, this will be the preparation of coaches and arbiters. Third, the active help for developing countries. Next year will be declared the Year of Africa, while 2013 the year the Year of South America. 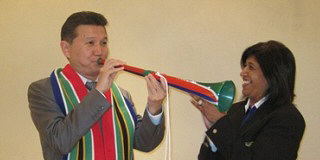 Q: On the FIDE website I saw your foto of you in Ghana with Vuvuzela. I hope that at chess events these annoying whistles will not be allowed? Kirsan Ilyumzhinov: There will not be Vuvuzelas at chess competitions. But we are seriously considering the idea to conduct the Chess Olympiad 2016 in South Africa.